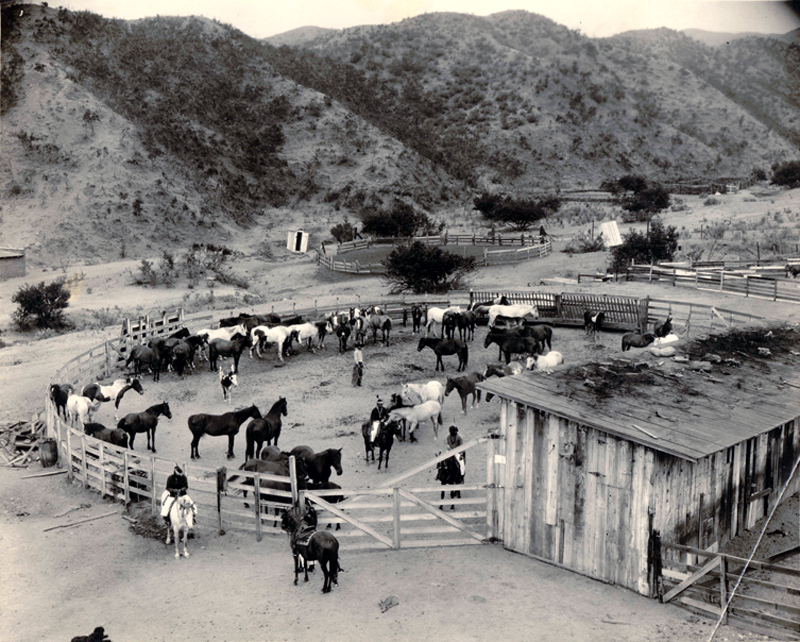 Horse corral and wooden stables at the Harry Carey Ranch in Saugus, located at the mouth of San Francisquito Canyon Road (just north of today's Copper Hill Drive). Date unknown; pre-March 1928. Note the presence of Navajo Indians who lived and worked at the ranch. DC2202: 9600 dpi jpeg from original print courtesy of Harry Carey Jr.